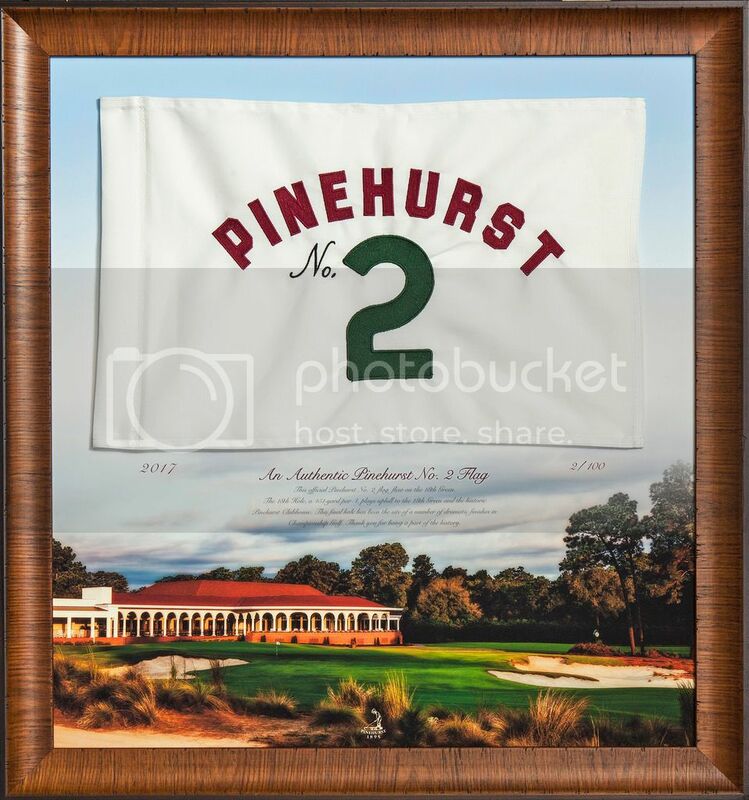 A keepsake flag featuring the iconic Pinehurst Putter Boy logo. 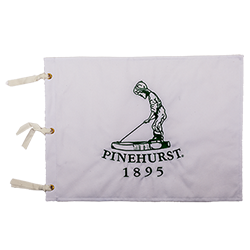 Perfect for framing, Embroidered double-stitched Pinehurst Putter Boy logo on front with brass grommets. 100% nylon, machine washable. Size 13 1/2" x 19 1/2"
From Stanley Simkins of Glen Burnie, Maryland on 8/27/2018 . This is a beautiful embroidered pin flag. Craftmanship is excellence and the price was more then fair. From Anonymous of Raleigh, North Carolina on 11/15/2016 . Great quality. Will be a reminder of when I played No. 2!